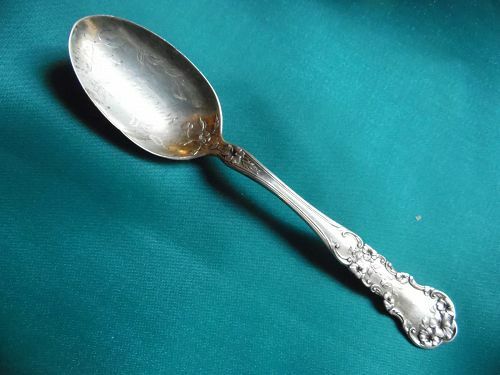 Beautiful vintage marked Sterling silver souvenir. handle has a pretty pattern of flowers. The bowl of the spoon has a cut engraving of Los Angeles circled with flowers and vines. Excellent condition. Measures 5 1/2" long.